Dr. Birol leads the Bioinformatics Team at the British Columbia Cancer Agency in the Genome Sciences Centre. He is also an Adjunct Professor at Simon Fraser University, School of Computing Science. Dr. Birol’s expertise is in the analysis of short read sequencing data for genomes, epigenomes and transcriptomes of model species and humans. He has developed a number of bioinformatics tools for de novo sequence assembly, sequence mapping (MrsFAST), data analysis (trans-AbySS, LaneRuler) and visualization (AbySS-Explorer). 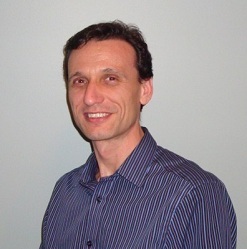 Dr. Birol is involved in developing sequencing strategies and bioinformatics analyses for sequenced and re-sequenced fungal genomes of the project.